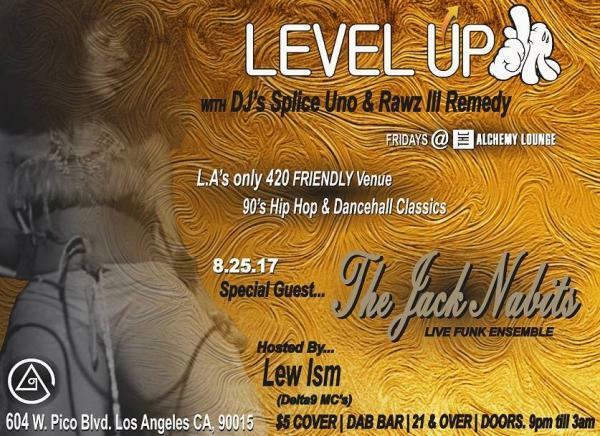 DJs Splice Uno and Rawz spinning 90’s Hip Hop and Dancehall Classics at LA’s only 420 friendly social club. $5 membership fee for the night. BYOBud and Dab bar. Come for the camaraderie and bring good vibes. Hosted by LewisM of Delta 9 MC’s.